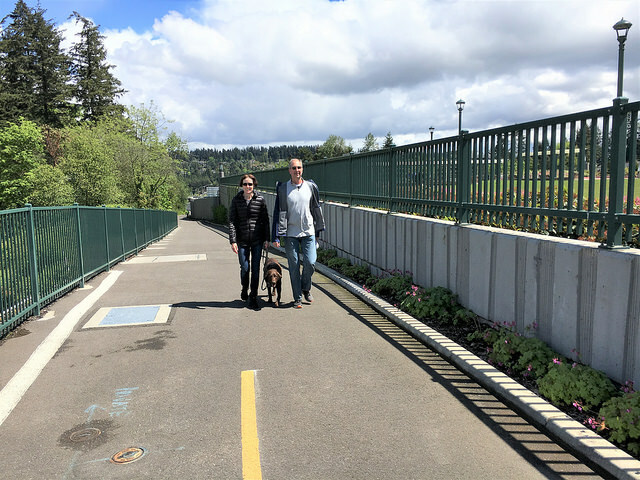 Each year, Washington sees an increase in the number of people who walk, ride bicycles or use other active travel means as their mode of transportation. How do we know? Volunteers help us annually count the number of people using active transportation at selected locations during a three-day survey. Volunteers are vital to the success of this project, and about 400 people are needed for the count. In 2017, volunteers tallied more than 63,500 people biking and walking in communities across the state. That year, we saw a 4 percent increase in the number of people who walked, biked or used other active modes compared to 2016 at similar sites. Well, it’s that time of year again. If you’d like to help, volunteer registration is now open. This year’s survey is Tuesday, Sept. 25, through Thursday, Sept. 27. If you’re not able to tally, you can still help by spreading the word to recruit volunteers via social media with the hashtag #WSDOTactive. After creating an account, a volunteer can chose from a list of locations in almost 60 communities and participate for as many days or shifts as they want. For the count, you’ll need to print off the tally form and make a hash mark for each passing person on a bike, walking, in a wheelchair, or using another form of active transportation (skateboard, rollerblades, scooter, etc.). Why do we use volunteers? Over the past 10 years, the number of communities that want to participate has grown. By continuing to use this methodology, we have the ability to do year-over-year comparisons with a consistent approach. Few other states have as many years of continuous data – this will be our 11th year – and it’s all thanks to volunteers. 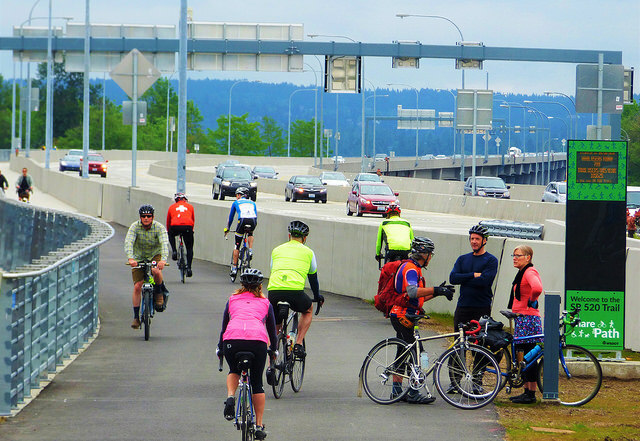 We partner with Cascade Bicycle Club, which leads volunteer coordination and enlists people through FeetFirst, Washington Bikes, Futurewise, local bike clubs, and other organizations. improve policies, project designs and funding opportunities. The data also helps agencies understand how and where to address active transportation needs for people who don’t have the income to choose other forms of transportation. For these people, walking and biking might be their only mode, or an essential part of a multimodal trip to access transit. The annual count will help us shape the vision of a future with a complete, comfortable network for all ages and abilities. In addition to the annual count, we’re working with Cascade Bicycle Club and local agencies to install permanent counters at locations around the state. To see counts from both data collection programs, visit our Bicycle and Pedestrian Count Portal. To learn more, visit our website, email Cascade Bicycle Club or call 425-243-3588. WSDOT and the Cascade Bicycle Club are asking volunteers from across the state to perform the counts in almost 60 communities including: Anacortes, Bainbridge Island, Battle Ground, Bayview, Bellevue, Bellingham, Bothell, Bremerton, Burien, Burlington, Concrete, Ellensburg, Everett, Federal Way, Ferndale, Gig Harbor, Issaquah, Kelso, Kenmore, Kent, Kirkland, La Conner, Lake Forest Park, Lakewood, Longview, Lyman, Lynden, Mercer Island, Milton, Mount Vernon, Mountlake Terrace, Oak Harbor, Olympia, Orting, Parkland, Pasco, Pullman, Puyallup, Renton, Richland, Seattle, Sedro-Woolley, Shoreline, Snoqualmie, Spokane, Spokane Valley, Sumner, Swinomish Indian Tribal Community Reservation, Tacoma, Tukwila, University Place, Vancouver, Vashon Island, Walla Walla, Wenatchee and Yakima.